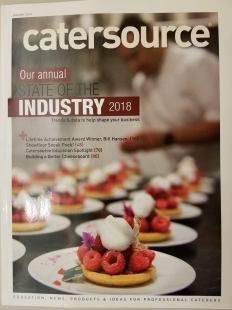 It’s time for the 2018 Catersource Conference and Tradeshow. Come celebrate with us in Las Vegas from February 18-21, 2018! Get the skinny on events, education, new products and keynote speakers. Trials and trends that every caterer needs to know about, for today and tomorrow. An educational and inspirational force in the industry; Bill Hansen of Bill Hansen Luxury Catering and Event Production.